Sutton Park is one of the largest urban parks in Europe, being some 2,200 acres (900 hectares) in area. Already a Site of Special Scientific Interest (SSSI), it gained National Nature Reserve (NNR) status in March 1997. This is a remarkable achievement as the park is situated just 7 miles (11 km) from the centre of Birmingham, the UK's second largest city. Seldom is such a large expanse of varied 'rural' habitat found so close to the heart of a major city. Standing in the middle of Sutton Park, it is hard for a visitor to believe that the Park is surrounded on all sides by suburban sprawl. In recognition of its long history of human use, and the quality of the remaining evidence, large parts of the park were declared a Scheduled Ancient Monument in March 2002. 'Scheduling' further protects the park's future, since potentially damaging actions now require consent from the government, via the English Heritage agency. There are seven man-made pools, with associated streams and wetland areas. 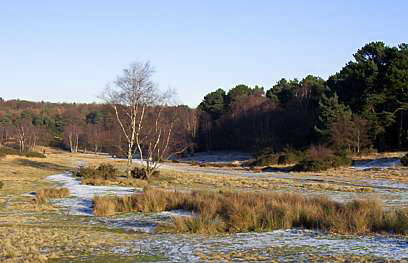 Lowland heath is another important wildlife habitat. One notable feature of the woodlands is the number of Holly trees. The park is closed to through traffic, although there are entrances for vehicles, each with parking available nearby. 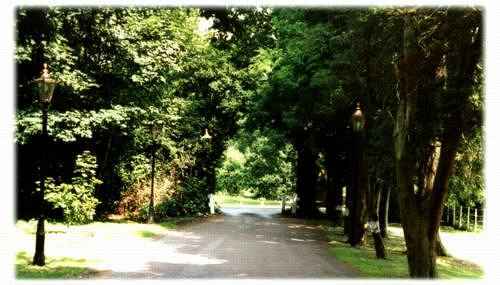 The peaceful roads in the interior of the park are ideal for walking, cycling and wheelchair access. The park is used for a wide range of recreational activities. Although areas such as the children's playgrounds near Town Gate and Banner's Gate can be very busy in the summer, especially at weekends and on bank holidays, peace and quite can still be found further in. The park can be as beautiful in a hard winter as it is in summer; truly a park for all seasons. See also Birmingham City Council's web site for Sutton Park. 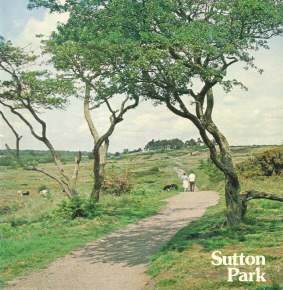 If you want to read more about Sutton Park and its history, some books are listed in the Bibliography. This site is provided and maintained through the . ^  The precise area of the park is given differently in different sources. A figure of 2,400 acres (970 hectares) is often used (e.g. Field and James 1965) and is repeated in the recent (but undated) booklet Sutton Park National Nature Reserve produced by Birmingham City Council. However, the 2002-2007 management plan states that the area within the boundary fence is 900.1 hectares, i.e. about 2,200 acres. My own attempts at measuring the area from maps suggest that the figure of about 900 hectares (9 km2) is correct if the Boldmere Golf Course is excluded. If it's included, the area is increased to about 920 hectares. This makes Sutton Park smaller than Richmond Park, London (955 hectares) but larger than Phoenix Park, Dublin (712 hectares).